34 people attended a Weaving Trust event at Jubilee Wood Primary School. 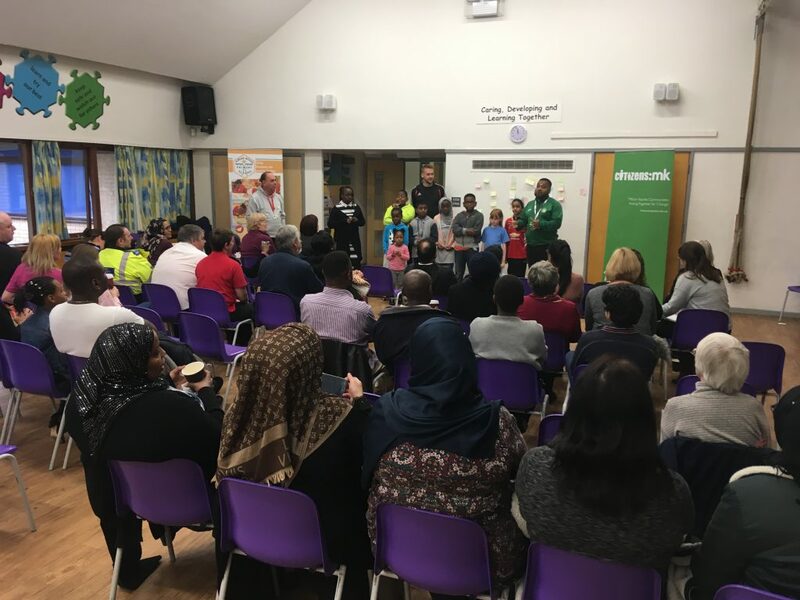 While their children joined a football tournament organised by Galaciticos FC, parents and others from the Fishermead community enjoyed eight short one-to-one conversations with guests including Citizens:mk members and representatives from Fishermead Residents Association and Thames Valley Police. 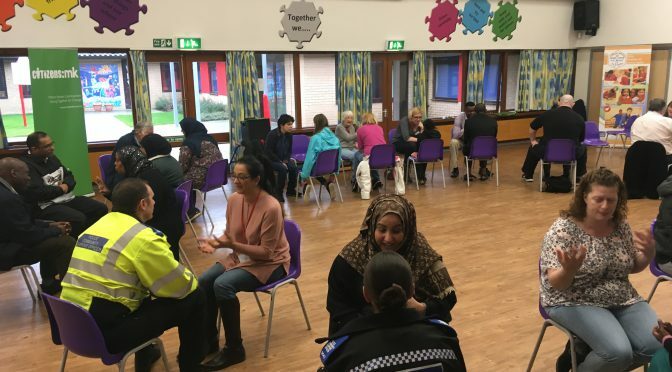 In the plenary after the Weaving Trust circle, many people commented positively on the diversity and growing community cohesion in Fishermead. Participants were then asked to write down their priority issue for action, as shown below. These issues will be discussed by the School Council and two prioritised for taking to the Citizens:mk Leaders Forum. Pavements. I have fallen over before. Level paths so children don’t trip up. 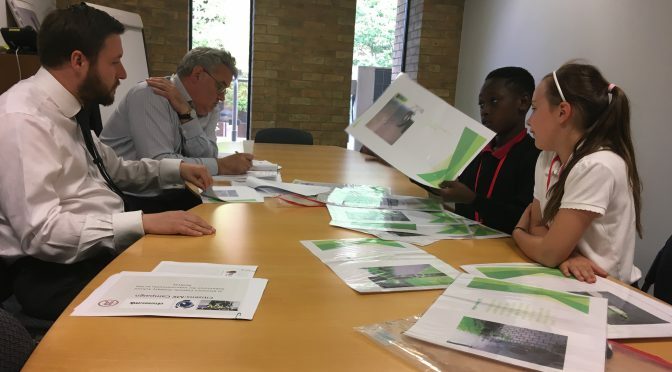 Following the action on 21st April, pupils from four schools met Cllr Pete Marland and his Highways chief Sean Rooney to lay out their initial plans for Redway improvements. Each school had 10 minutes to present images and details of their top 10 priority ‘hotspots’ for improvement. These included over-hanging bushes, broken steps, old paintwork, discoloured signposts and lots and lots of rubbish and broken glass. 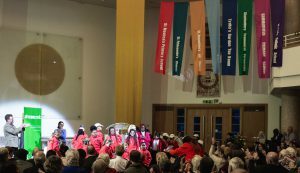 The schools involved were Jubilee Wood, Summerfield (pictured), St. Monica’s Catholic Primary, MK Academy and St. Paul’s Catholic School. 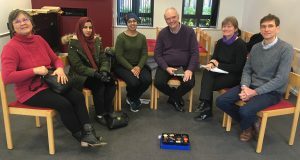 Cllr Marland agreed to meet with the pupils again once his team had drawn up a list of RAG-rated works, and following a meeting with The Parks Trust, which has responsibility for some of the Redways on which improvements are needed. Pupils pictured outside Civic Offices below. 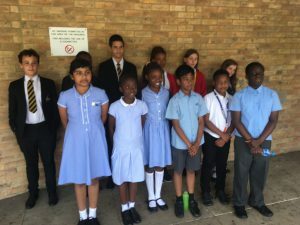 Four staff from Dentons LLP UMEA joined pupils from Jubilee Wood Primary School in a massive clean-up of the Redway alongside the school. This was an action for the Citizens:mk Redways Relaunch campaign. 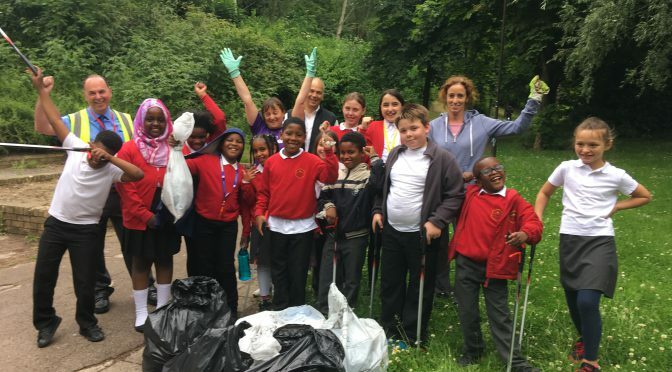 Working with Mitch Michener from Campbell Park Parish Council as well as Dentons, the pupils split into groups to clean different sections of the Redway. 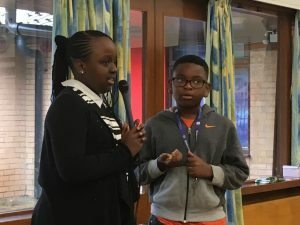 “If we can monitor the area at least once a week, we can keep it clearn,” said a 10-year old member of the School Council. Click here to see short video of Tony Berwick speaking.